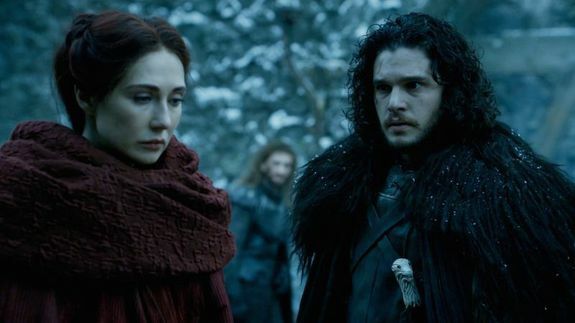 'Game of Thrones' language creator reveals what Melisandre said to save Jon Snow - trendistic.com: ever tried. ever failed. no matter. try again. fail again. fail better. This post contains spoilers from Game of Thrones season 6. Unless you are a fluent Valyrian speaker, Melisandre may as well have said “You know nothing” to the Lord of Light in hopes of saving Jon Snow. But David J. Peterson, the language creator responsible for Game of Thrones’ Dothraki and Valyrian, recently revealed on Tumblr the translation of the powerful prayer the Red Woman used to revive Snow. The same prayer was also used in Season 3 when Thoros of Myr brought back Beric Dondarrion.